It has been commonly believed that evolutional processes can be divided to (1) apparently slow (or gradual) changes in morphology so long as an environmental conditions are kept under nearly steady state, and (2) rapid morphological changes upon drastic environmental switchovers. 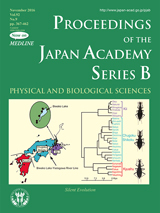 Osawa et al. (pp. 455-461 in this issue) used phylogenetic trees based on mitochondrial DNA sequences of several ground beetles and a burying beetle, and came to the conclusion that stagnation and gradual (slow) changes should better be distinguished from each other. They propose a new category called “silent evolution” for morphological stagnation of the evolutionary process. Silent evolution may be best explained by the mitochondrial phylogenetic tree of a carabid species Damaster blaptoides blaptides . 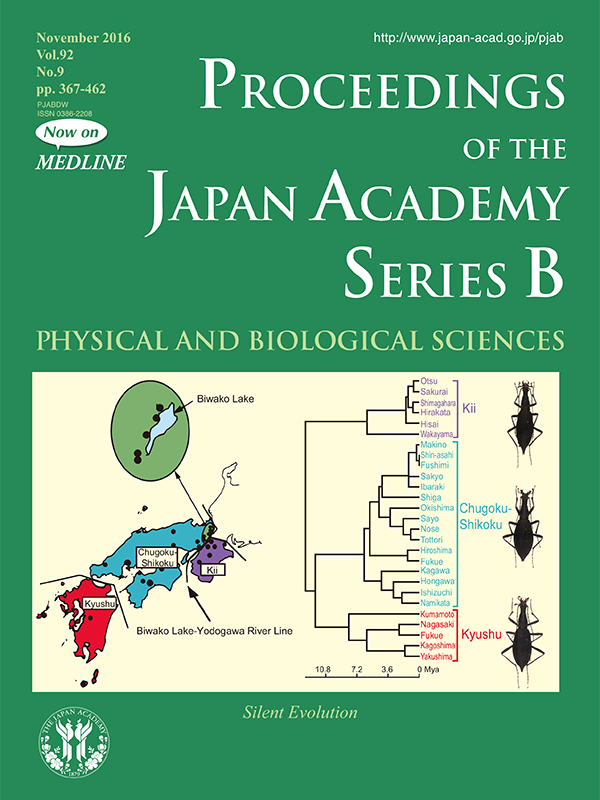 Morphological differences among southwest populations of this species, i.e., Kii Peninsula, Chugoku-Shikoku and Kyushu cannot be recognized following the available procedures, and therefore these three populations have been treated as the same one subspecies. However, a phylogenetic tree clearly shows the locality-dependent three lineages. Presumably, neutral base changes have occurred at independent sites in each lineage without accompanying mutations on the nuclear genes which correspond to morphogenesis. This process remained unchanged at least for the past 12 million years.